As the logo of the RSPB, the slender black and white avocet is a familiar bird in winter on the river Exe in Devon, but not in the summer. By the mid Victorian era the avocet had all but stopped breeding in Britain and it was not until 1947 that the first avocet bred again in Suffolk. Since then the breeding population has increased dramatically with over 1000 breeding pairs as their range has expanded out of the South East corner of Britain. To discover more in this episode from 2001, Lionel Kelleway heads off to the Exe on a winters day, where he joins Malcolm Davies from the RSPB. Beginning at low tide, Lionel and Malcom discuss what has happened to avocet numbers since their return as a breeding species although they do not breed in the South West. but in winter avocet arriving from the Continent can swell numbers towards 7000. 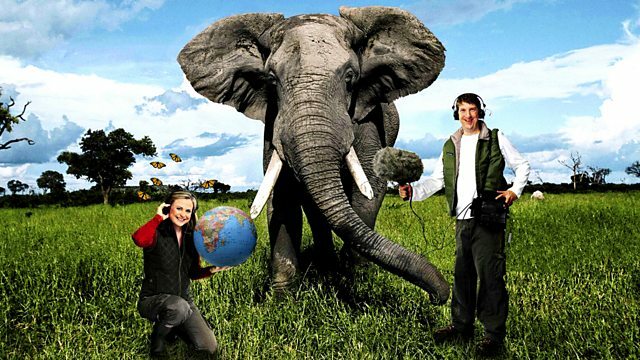 Much has changed since the programme was first broadcast, therefore in this revised episode, wildlife presenter Lindsey Chapman revisits this Living World from 2001, bringing the story up to date for today's audience.